SUBIACO is back-to-back WAFL premiers again having now won six premierships in the past 12 years after beating West Perth in the 2015 Grand Final by 66 points at Domain Stadium. 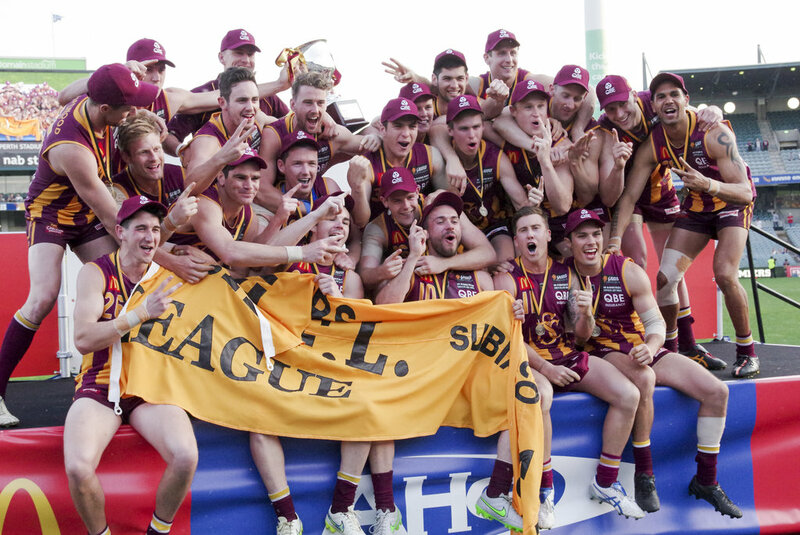 Coming off the premiership in 2014, Subiaco was the dominant team right throughout the 2015 season ending the home and away campaign four games clear on top of the ladder, and then winning straight into the grand final with a victory over West Perth in the second semi-final. 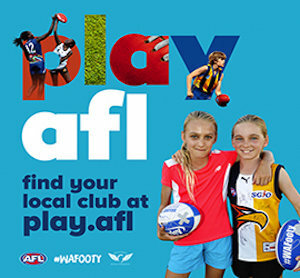 West Perth did win the 2013 premiership and had beaten Subiaco once during 2015 with the Falcons ending the season in second position and winning finals against Peel Thunder and East Perth either side of the second semi-final loss to qualify for the decider on Sunday. The Falcons had not had a break since Round 15 and the grand final was their 12th straight match while the Lions were fresh, and primed for the grand final after breaks in the first and third week of the finals. 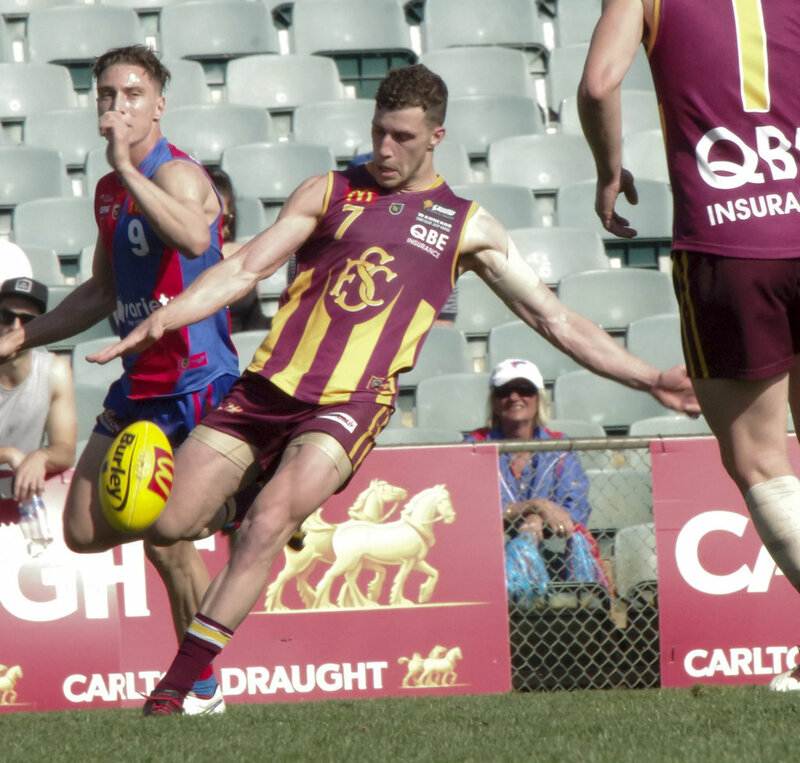 In the end, Subiaco put in a dominant performance on grand final day to consolidate their standing as the powerhouse WAFL club this century with a 21.10 (136) to 10.10 (70) victory. 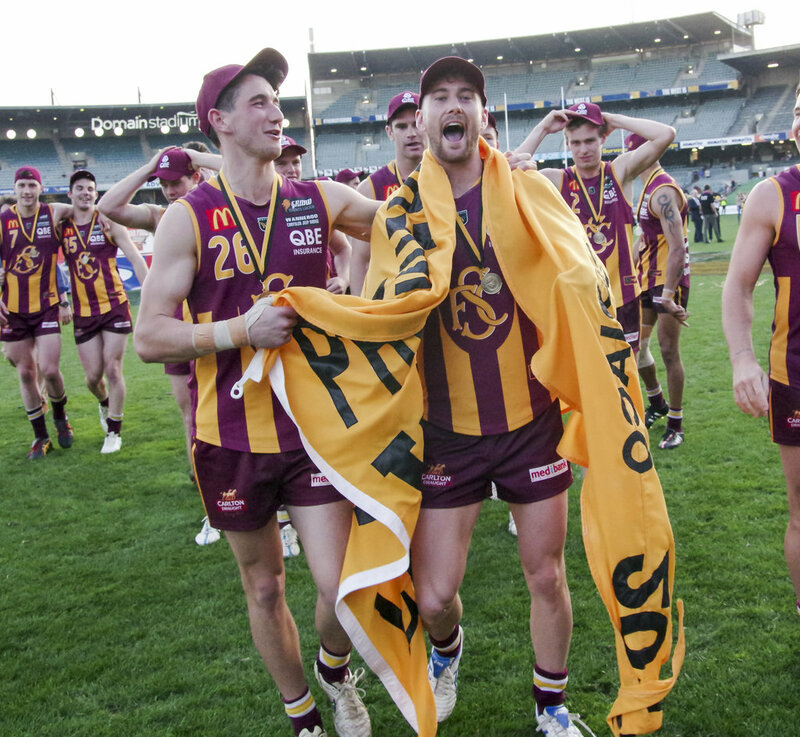 Having not won a premiership since 1988, Subiaco broke through in 2004 for a flag and have since gone on to win flags in 2006, 2007, 2008, 2014 and 2015. Of those six premierships, Darren Rumble has played in each of them with the 229-game full-back again strong defensively in the grand final doing well up against both Michael Lourey and Nick Rodda. Matt Boland and Shane Yarran were dominant figures in the forward-line for Subiaco and West Perth had no answers. Boland ended up with seven goals to claim the Simpson Medal with Yarran kicking five in a dynamic display in the first two and-a-half quarters. Sam Menegola finished off his stunning second half of the season with Subiaco having not played up until Round 11, to be the best midfielder on the ground with 30 possessions, six clearances and a goal. He had plenty of support, though, with Leigh Kitchin racking up 29 disposals to end an outstanding first season at Subiaco while Chris Phelan collected 29 touches to go with eight inside-50 entries, seven clearances and a goal. 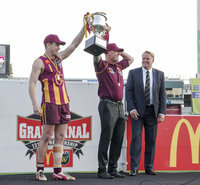 Captain Kyal Horsley became a triple premiership player and had 25 possessions mostly on the wing while ruck pair Clancy Wheeler (22 touches, 19 hit outs, five clearances) and Lachlan Delahunty (21 disposals, 24 hit outs) made strong contributions. Wayde Twomey is also a triple premiership player now and was terrific off half-back ending up with 28 possessions while Jordan Lockyer, Hayden Denny, Charles Le Fanu, Scott Worthington and Aaron Heal all gave Rumble good support in the back-line. Andrew Strijk showed his class once again on the big stage for West Perth with 21 possessions, nine marks, eight rebounds from the defensive 50 and two goals. 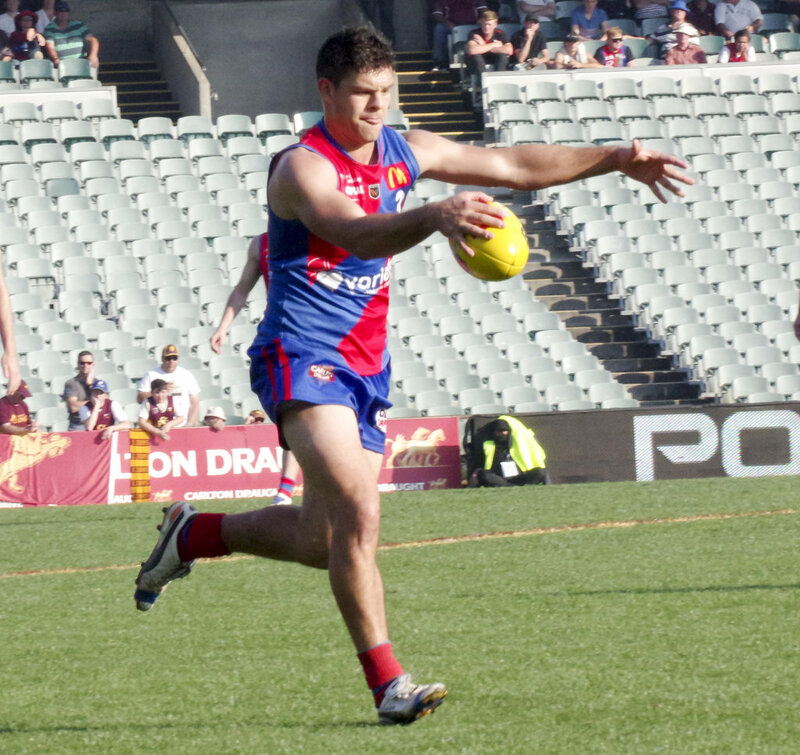 Shane Nelson has won West Perth's last two fairest and best awards, and wasn’t about to give up in the grand final ending up with 32 disposals to go with seven clearances and seven tackles. 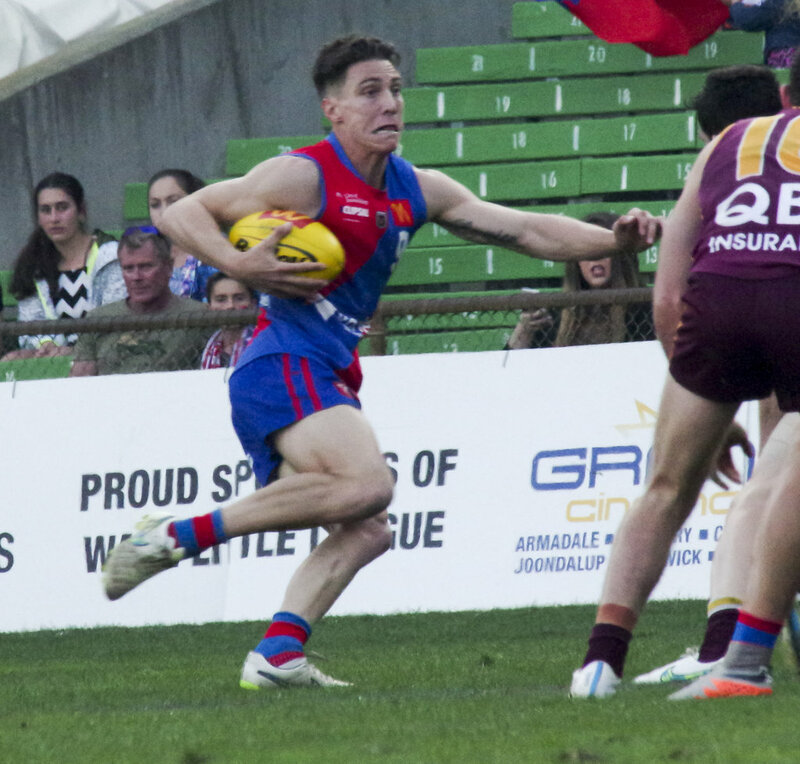 Trent Manzone was the unlucky player to miss out on West Perth's premiership of 2013 and he put in a good performance in his first grand final with 30 touches, seven inside-50 entries and five clearances. Co-captain Jay van Berlo put in a power of work finishing with 23 possessions, 12 clearances and eight tackles while Rohan Kerr had it 22 times, Aaron Black 20, Marcus Adams 19, Ray Bartholomew 19 and Kris Shannon 17. Veteran ruckman Chris Keunen did all he could in the ruck for West Perth with 14 possessions, 31 hit outs and seven clearances. Laine Rasmussen fought through an ankle injury to play and the usual small defender spent the game forward, and kicked two goals. It was a hot opening to the Grand Final and the first goal came to Boland for Subiaco and then Yarran soon after, and that would end up setting the scene for what was to come later in the first half. West Perth did steady with a good goal from deep in the pocket to Lourey, and then Strijk nailed another and the Falcons hit the front. Subiaco responded with Boland nailing another on the run before West Perth regained a two-point lead when Adams got on the end of a handball deep in the pocket and slotted a terrific goal after slipping forward from defence. The Lions peppered the goals late in the quarter and Yarran missed a shot after the siren as they took a one-point lead into the first change. Yarran got another chance to start the second quarter and this time kicked truly, but Strijk was having a hot opening to the game and nailed his second to put the Falcons back within a point. 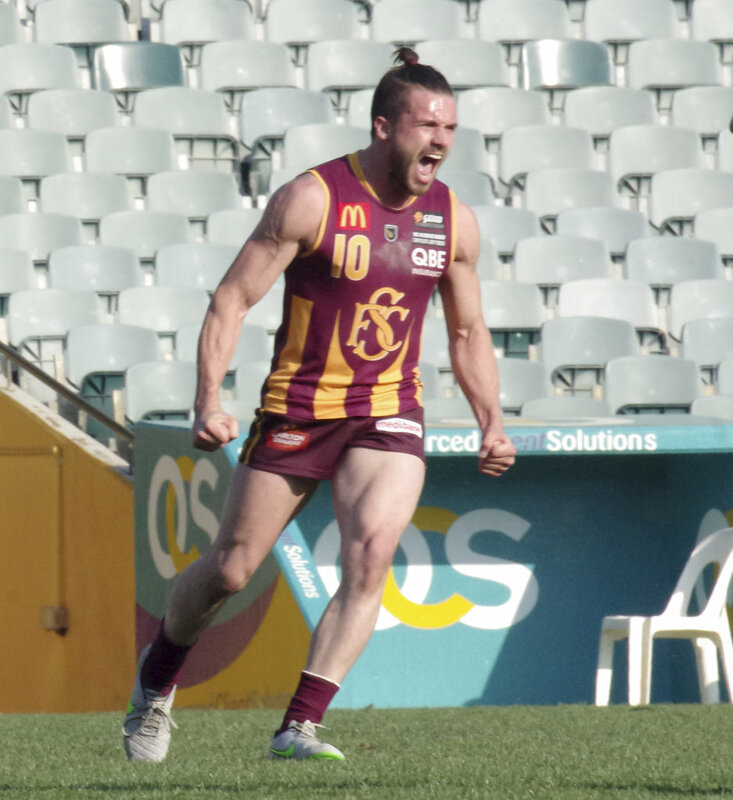 Menegola put Subiaco back on top nailing a long goal before West Perth responded following a 50m penalty to Steve Potente. However, the Lions were working their way on top and put in a dominant last 14 minutes of the half with Yarran adding his third and fourth goals, Boland his third and fourth, and Brett Mahoney kicking truly as well to see the reigning premiers in control by 33 points at the main break. West Perth knew it had to make a run early in the third quarter to stay in the contest and Rasmussen did get the opening goal for the Falcons to make the margin 26 points, but two quick goals in less than two minutes to Halligan and Yarran quickly saw Subiaco shut the gate. Yarran had kicked his five goals up until the 12-minute mark of the third quarter and had put the Lions on the way to another premiership, but the team wasn’t done with yet. By the time Boland kicked his fifth and sixth goals, and Wheeler nailed on the run and Kyle Halligan booted his second after the three quarter-time siren, Subiaco was on its way to the flag with a 59-point advantage. 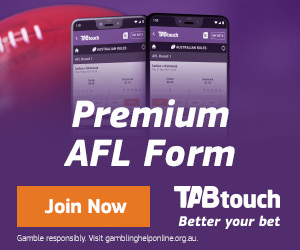 Subiaco's lead grew to 65 points when Twomey kicked the first goal of the final quarter before Drew Rohde got one back for West Perth in his first grand final appearance. Phelan then goaled after a 50m penalty following a heavy collision when West Perth's Steven Browne caught Chris Deluca high. Black snapped one in consolation before the Falcons before Boland capped his day with a seventh and Michael Wood nailed his first to see Subiaco's lead grow to 72 points and then end at 66 when Rasmussen goaled after the siren for West Perth. Earlier in the day, Claremont's colts won its 14th premiership since 1975 by beating Swan Districts 14.17 (101) to 4.8 (32) with Tom Gajewski presented the Mel Whinnen Medal while in the reserves, South Fremantle capped its dominant season beating Swan Districts 15.19 (109) to 5.8 (38) with Anthony Collica winning the Merv McIntosh Medal. SUBIACO – Goals: Boland 7; Yarran 5; Halligan 2; Wood, Phelan, Twomey, Wheeler, Deluca, Mahoney, Menegola. Best: Menegola, Yarran, Wheeler, Twomey, Boland, Phelan, Kitchin, Rumble. 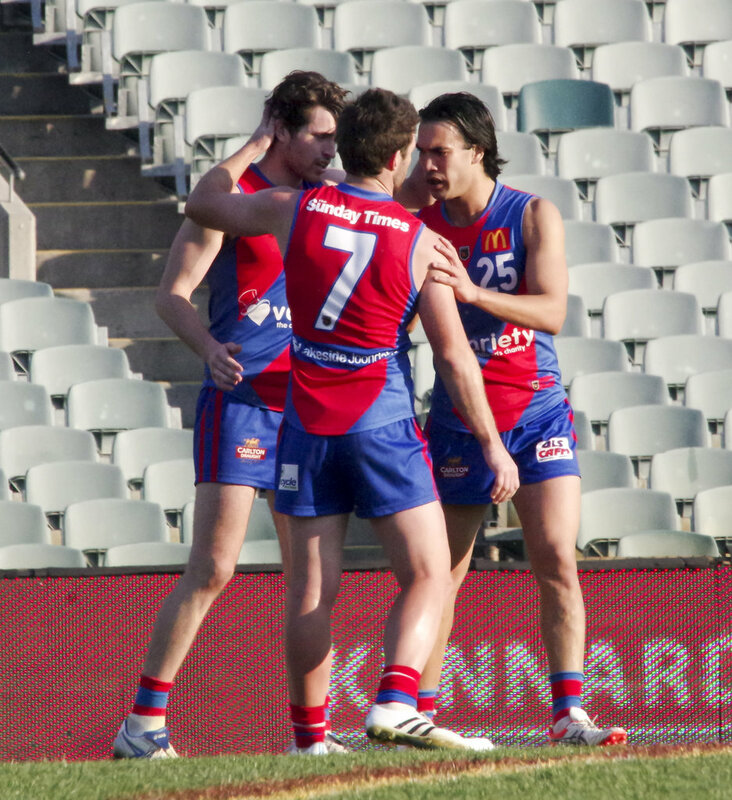 WEST PERTH – Goals: Rasmussen, Strijk 2; Black, Rohde, Lynch, Potente, Adams, Lourey. Best: Strijk, Nelson, Manzone, van Berlo, Keunen, Kerr. 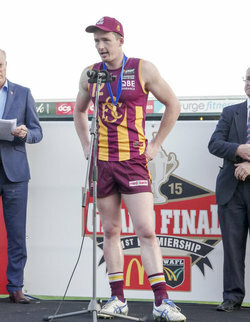 SIMPSON MEDAL: Matt Boland (Subiaco).